After reading through Teresa Duryea Wong's book on Japanese quilts and quilters, I felt a bit...deflated. There are so many amazingly skilled quilters out there! I'm always amazing by how humble quilters are in spite of their abilities. 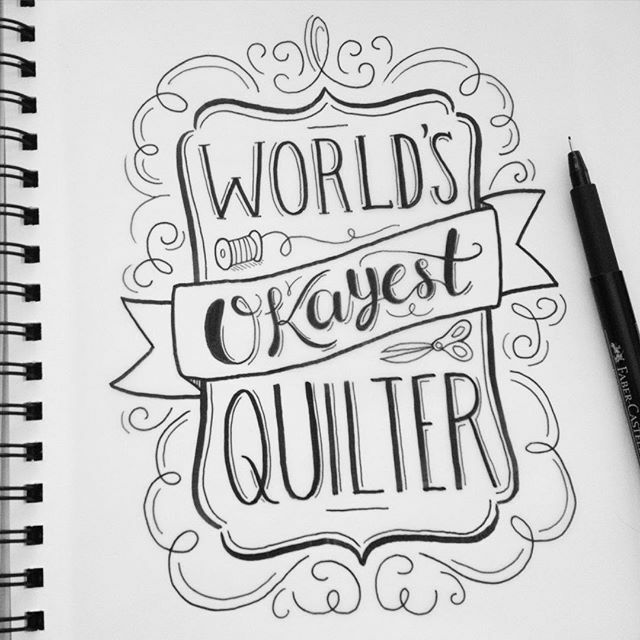 That was the inspiration for a recent hand lettered illustration I created, World's Okayest Quilter. I cleaned up the illustration a bit, digitized it, and have it ready to go off to my screen printer for some fun shirts! Unlike with previous shirts in my shop, I'm going to be selling this shirt solely through pre-orders. Having extras on hand just hasn't worked out for me as well as I've hoped. 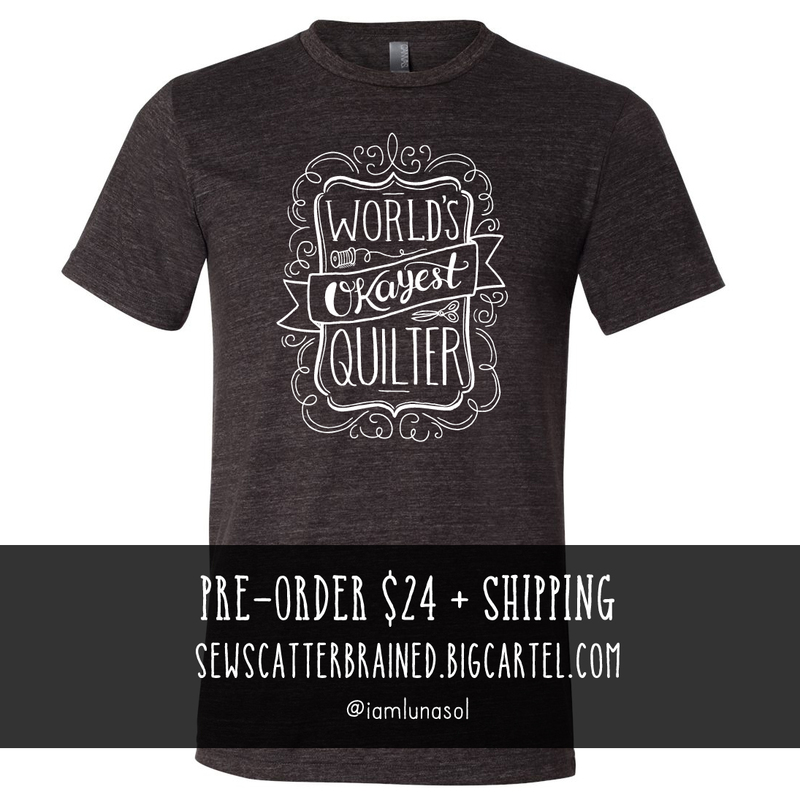 So if you want a shirt, be sure to pre-order! You can get the full info on the shirts and pre-order over at my at my t-shirt shop.